A unique and vitally important documentary about this century's worst environmental disaster-the destruction of the Amazonian rainforest. Noted British documentarian Adrian Cowell has spent the last decade filming the opening up of Amazonia, the last great frontier. 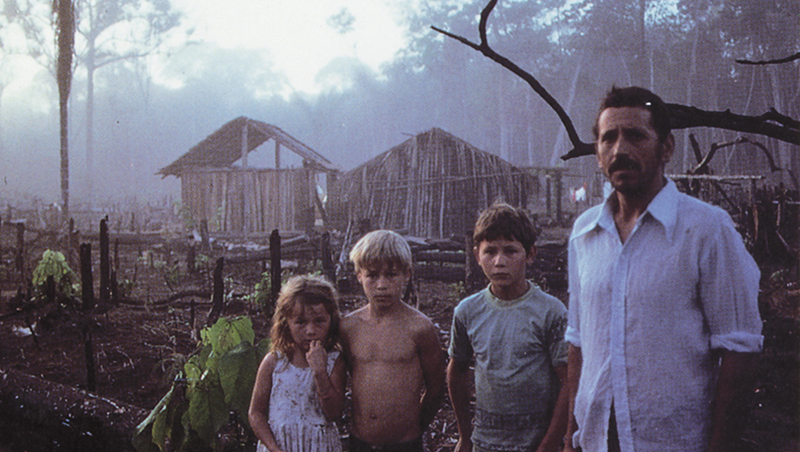 In this film he documents the disastrous consequences of paving a road through the heart of the world's largest rainforest in Brazil. The road through the state of Rondonia was partly financed by the World Bank. It was paved to help hundreds of thousands of colonists from other areas of Brazil move into the region to farm, but the effects on the environment have been catastrophic, and measures to protect the Indians have proven inadequate. Ironically, many of the settlers have gained very little. Poor soil and poor planning have meant that many attempts to farm the cleared land have failed. The scope of the film is epic, and to U.S. audiences it has a special resonance. It provides us with an uncanny insight into how our western frontier was opened, while documenting a burgeoning human and environmental disaster in the Brazilian rainforest. Camera, Jimmy Dibling [and 3 others]; editor, Chris Christophe.